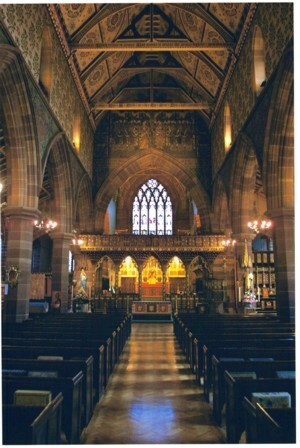 In 1093 this was the Chapel of Bebington or "Capella de Bebintone" as recorded in the chartuary of St Werburgh (the abbey of St Werburgh later became Chester Cathedral). In 1093 Scirard de Launcelyn gave the living of the chapel to the abbey, and this is the earliest written evidence of the Launcelyns having been established at Poulton (or "Pontone" in the domesday book) presumably since 1066. 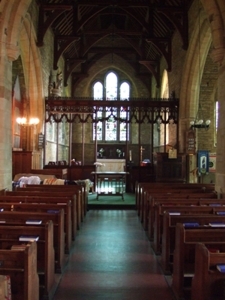 The earliest parts of the church may be of Norman origin, and it has been added to in various styles, including a fine chancel rather in the perpendicular style beneath which lies the original family vault of the Launcelyns. 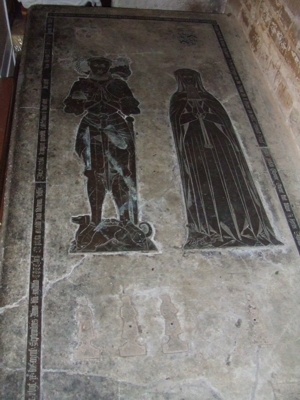 A number of family memorials and hatchments are in the chapels and aisles. 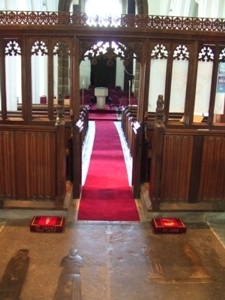 A particular curiosity of the church is the arch with a mid-air offset which links the south side of the nave to the chancel. 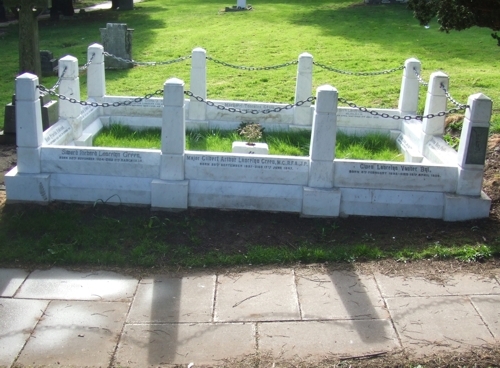 To the south of the church is the present family vault of about 1900 which had a second tier of white marble plinth added in 2006 to take further inscriptions. Ediva Lancelyn founded this after having a vision in which she was guided as to the spot where it should be. Although there is little remaining now it was a thriving establishment for some hundreds of years. Greens Norton Parish Church, Northants. 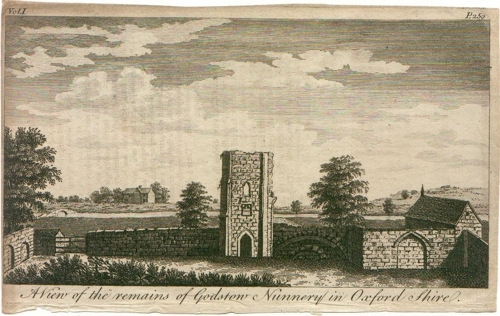 The Greens of Greens Norton are recorded here back to about the 12th century with many memorials and records. Was this the Green of "Bushey, Bagot and Green" in Shakespeare's Richard II? 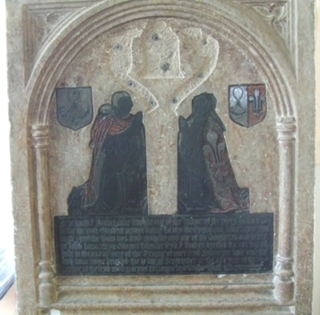 The main line of the family died out, but Randle Green, by then living in Congleton, Married Elisabeth Lancelyn, sole surviving heiress of the Lancelyns in 1577. 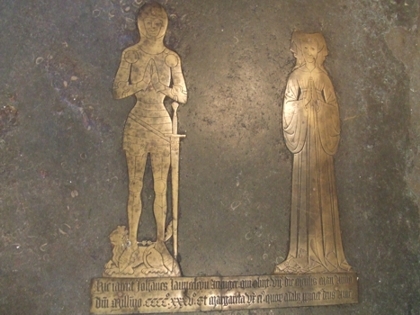 The church also houses some brasses recording the connection of other Launcelyns with the royal household of Henry VIII, one of which is shown above on the left. 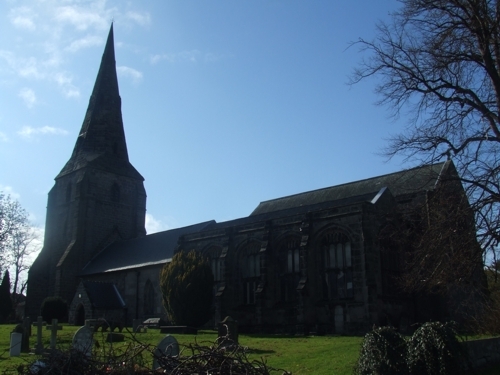 This Church, originally with spire, was built by Mrs Eliza Thornton, the great great great grandmother of Scirard Roger Lancelyn Green, the present Lord of the Manor, and a daughter of Samuel Thornton who was governor of the Bank of England from 1799 to 1801. 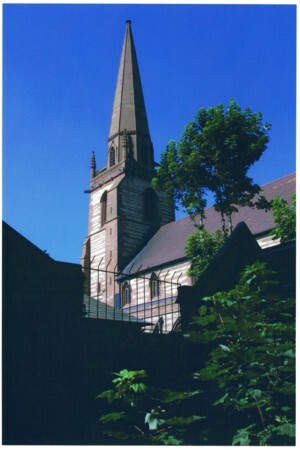 This church was the regular parish church of this branch of the family who lived in West Derby at 'The Elms'. 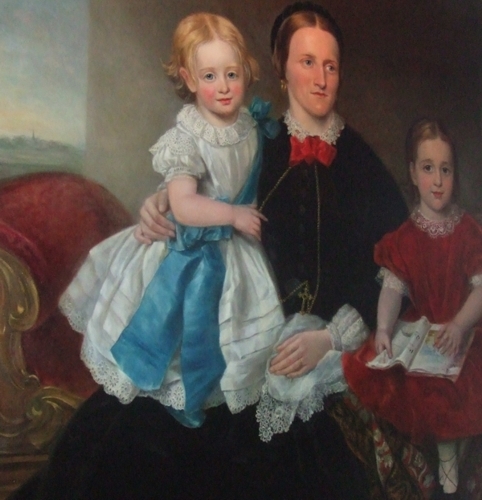 A dolls' house, being a model of The Elms, is at Poulton Hall to this day, as is a portrait of her daughter, Mrs Eliza Ann Reade and her two grand-daughters. 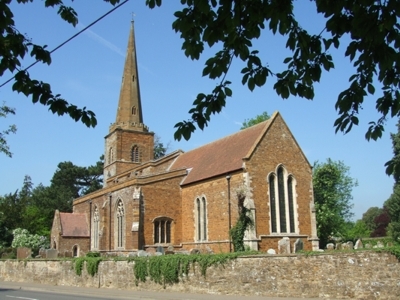 The church (with spire) may be seen on the skyline in the portrait (shown below, after restoration in 2007). The older of the two girls married Major Herbert Lancelyn Green in 1880. This church, designed by Bodley and containing many fine examples of the arts and crafts movement, was built by Mrs Eliza Ann Reade (nee Thornton), who is seen in the portrait above. 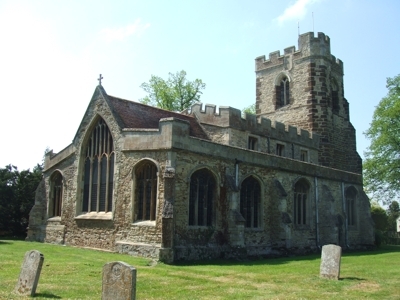 It has recently been restored with the help of the National Churches Trust and English Heritage. 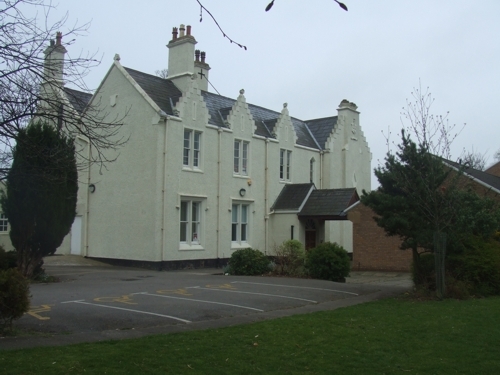 Originally the dower house of the Lancelyn Green family, built in about 1860, but never used for this purpose, the house was used for church groups from 1968, and given to the parish of St Andrews by Roger Lancelyn Green in 1972. In 1977 it was dedicated as a church itself and fulfilled this role until 1987 when a new building was erected. 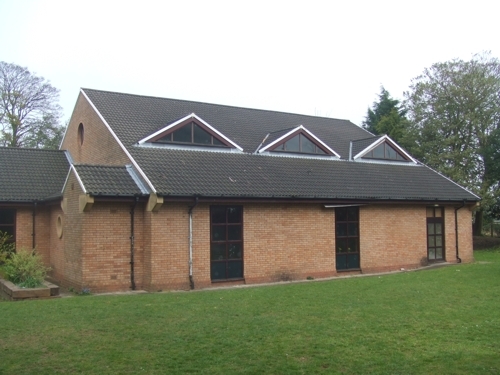 It is now the parish centre.